I found this great recipe in Cooking Light Magazine and tweaked it a bit to better use what I had in my kitchen. 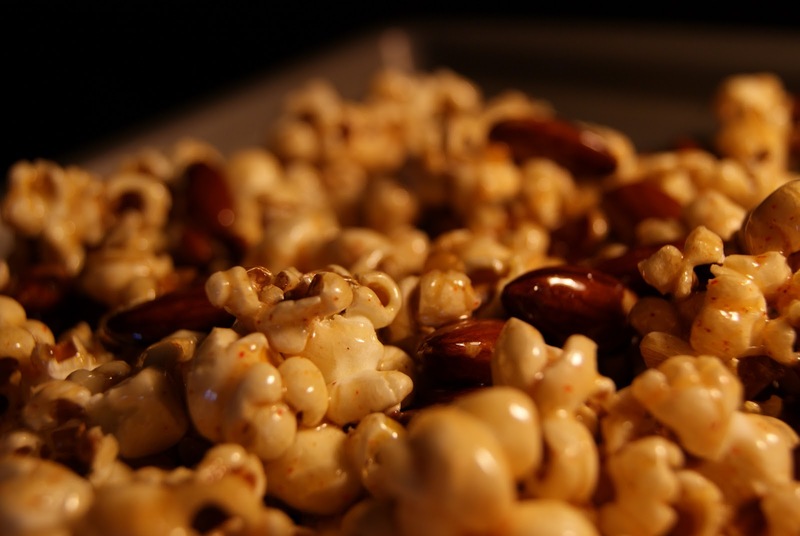 It’s a great little snack—sweet and spicy—with a total of 188 calories per 1 cup serving. doesn’t it look so crunchy and delicious??? 1.) Heat the oil over medium heat. Add the popcorn (if using kernels). Heat up the popcorn until it’s all popped. When the popcorn popping slows down, take it off the heat. 2.) Combine sugar, almonds, syrup, butter, salt, and ground red pepper in a sauce pan. Bring to a boil. Cook one minute, stirring frequently. 3.) 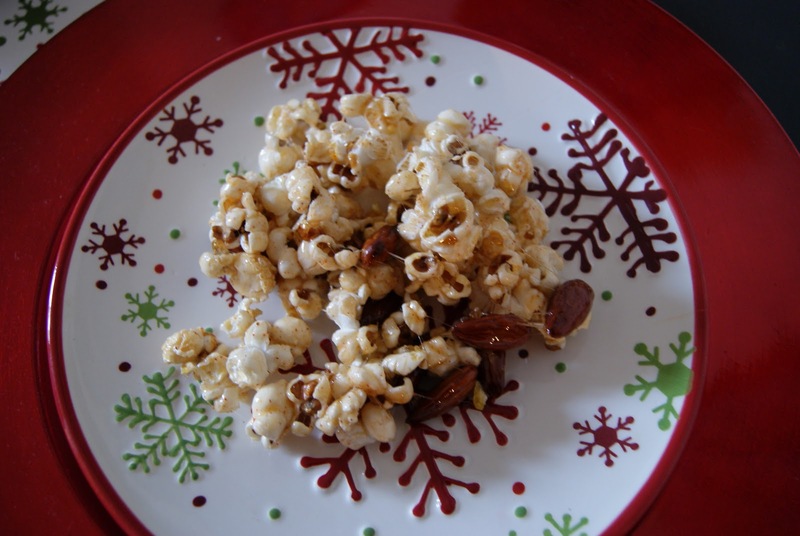 Pour hot syrup over popcorn, toss to coat. Spread out on a cookie sheet to cool. Makes about 6 1-cup servings!